She was the focal point of my last post, and she’ll take the spotlight again in this weeks Music Obsession! Halsey has pretty much swept through my apartment, and even found her way to friends outside of our little haven. Apparently one of my roommates told me to check her out a while back, but I have no recollection of that. Interesting enough, she eventually appeared on my current Pandora station and demanded my obsession. I mean, how can she not? She’s everything I’m into right now. She’s kind of an indie Tove Lo, with her darker tones and deep lyrics paired with a gentle voice. 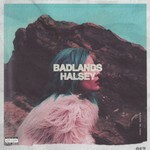 Halsey is officially characterized by indie pop, but I think when people hear ‘pop’ they automatically think upbeat, fist pumping music. That’s not her sound at all. Her music is not for show, it’s to enhance the lyrics. You heard it from us! Halsey is the next biggie, and the fact that she’s only been around for about a year means she has so much further to go! I feel like there’s a Halsey quote for everything, just like Taylor Swift has a song for everything. I could quote her all the time, and everybody would think I was insane because you have to really think about her lyrics to get them. So, this is another growth project, inspired by one of my favorite blogs, Ordinary Adventures, owned by a lovely lady named Brey. To see her latest music spotlight, click here! I love the idea, and honestly, my taste in music changes so much that it would be fun to map out the highlights. So without further ado; my first music obsession spotlight! If it wasn’t the way they created their tunes, it was how they used their accents to their advantage. The unique sounds mixed with their strange lyrics (“Please don’t go, I’ll eat you whole, I love you so”) equal Shelby’s new favorite band! I usually put their album, An Awesome Wave, on when I start doing writing stuff. The instruments make for good background music, but their lyrics bring out the creative juices I need. This musical time-slot is constantly changing, but the idea never changes. it’s always the same type of music. check back next Friday for another music obsession spotlight!